East Roswell Vet Hospital is proud to serve the Roswell GA area for everything pet related, including exotic animals and grooming. Our veterinary clinic and animal hospital is run by Dr. Kim van Beuren, who is a licensed, experienced Roswell veterinarian, with decades of animal care under her belt. Our GOAL, simply put, is to give you and your furry kids the least stressful experience we can. 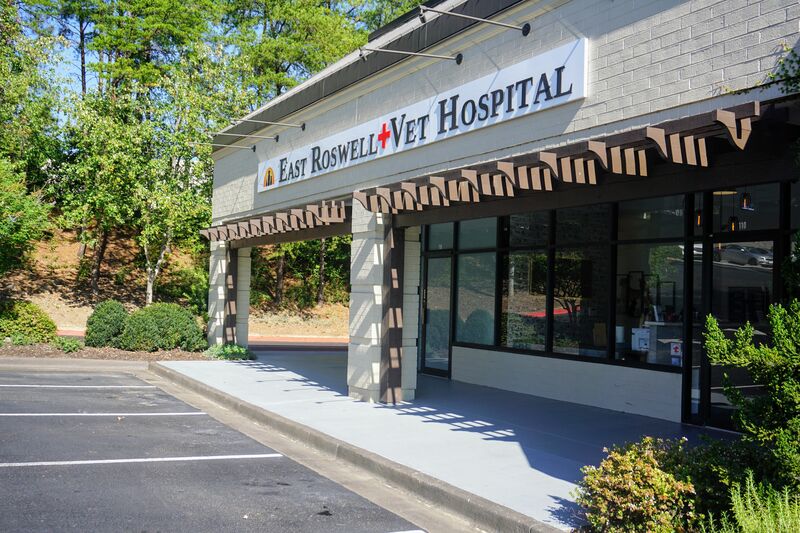 East Roswell Vet Hospital strives to serve you in the best way we can, and we shall take whatever time you need to get the family doctor care you deserve. Our team is committed to educating our clients in how to keep your pets healthy year round, with good nutrition and exercise. We always strive to give you natural and organic options first, but also know that sometimes serious medical conditions arise that require specific treatments for success.